John Doerr On Bloom Energy Launch: "This Is Like The Google IPO"
After eight years of operating in quasi-stealth, Bloom Energy came out with a bang today at an event in Silicon Valley attended by Arnold Schwarzenegger, Colin Powell, Larry Page, John Doerr, and executives from eBay, Walmart, Coca-Cola, and FedEx. All of the big-name companies, including Google, are beta customers of Bloom’s distributed energy fuel cell technology (which was the subject of a 60 Minutes profile on Sunday and various other stories since then). Doerr, the Kleiner Perkins VC who backed both Bloom and Google, said today: “This Is Like The Google IPO.” Except without the IPO part. Doerr was referring to the fact that, like Google, Bloom has kept its business close to its vest until it actually could show some progress in terms of customers and products. 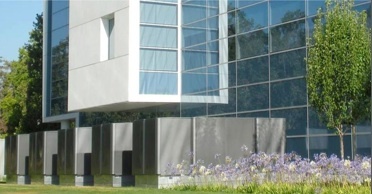 Five Bloom energy boxes about the size of a parking space each now provide 15 percent of the power at eBay’s campus. Walmart is testing the boxes in two locations where it is carrying 60 to 80 percent of the energy load of an entire store. Google co-founder Larry Page calls the technology a “very big deal” and looks forward to the day that it can expand the number of Bloom boxes Google uses to the point where it can power one of its data centers. Each fuel cell, which is made from sand essentially (zirconium oxide), is a square wafer about the size of a CD box. Each wafer can produce about 25 watts of energy, enough to power a lightbulb. Stack them together and you get a box that could power a house. Group them into larger units, and you get enough energy to power a building or an entire campus. 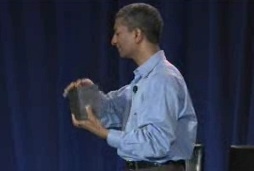 He calls them energy servers because they are modular like servers in a data center. Need more energy? Add more boxes. They are like backyard generators. No electricity is lost through distribution, and they can convert a variety of fuels into electricity, allowing customers to use whatever is locally available or cheapest. There are no moving parts, vents, or discharge other than heat. Right now, only businesses and large facilities can afford these things. They cost about $750,000 for a 100 kilowatt system (Google is using a 400 kilowatt systems to power one building on its campus, and the Walmart stores are also using 400 kilowatt systems). Nevertheless, Bloom says the systems should pay for themselves within three to five years because of lower electricity costs. A typical electricity cost for commercial customers is 8 to 10 cents per kilowatt-hour versus 13 cents for what they might pay a California utility. That 3 to 5 cents per kilowatt-hour in savings adds up if you are running a huge retail store or a data center. The costs should come down over time to the point where Bloom boxes really can be used in homes. One potentially disruptive feature of the technology is that it works both ways: fuel can produce electricity, but it can also go the other way so that electricity produces fuel. Sridhar foresees the killer app for his technology becoming practical in about a decade: a Bloom home energy server combined with solar panels or some other renewable energy. 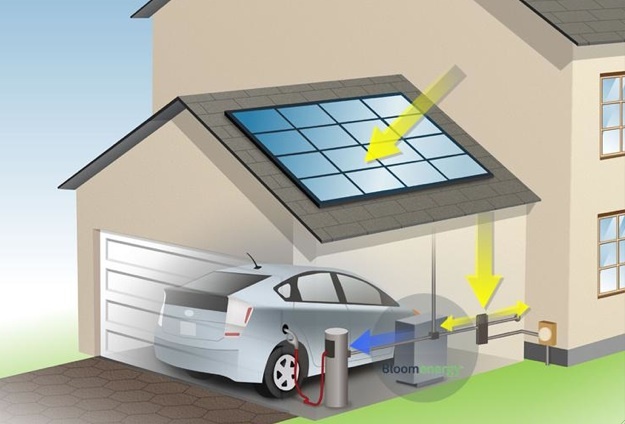 The electricity from the solar panels could produce fuel, which can be used to produce electricity to power the house or even to gas up your (modified) car. Dreams like those are the kind that fuel something else: big IPOs. When’s the real one, Doerr?